Principals navigate the dynamic complexities and subtleties of their schools every day. They promote, facilitate, and lead efforts to achieve both tangible and intangible results throughout the school community. They fulfill a role that includes counseling, budgeting, inspiring, teaching, learning, disciplining, evaluating, celebrating, consoling, and a million other critical functions. As the principalship has evolved and grown, so have the expectations of it. With that in mind, ASCD developed the Principal Leadership Development Framework (PLDF). The PLDF establishes a clear and concise definition of leadership and includes clear targets that support the ongoing growth and development of leaders. The PLDF also offers 17 criteria of effective practice that allow leaders to focus on behaviors that have the greatest direct effect on the culture and status of learning and teaching. Coupled with the PLDF are tools for self-reflection that help principals identify and strengthen their reflective habits. 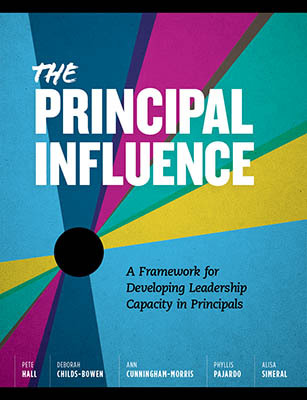 Whether you want to develop your own capacities or support the development of a group of principals, assistant principals, or aspiring principals, The Principal Influence can help channel your efforts in ways that promote successful teaching and student learning.